“Never give up. Never surrender.” That’s my writing motto. Write regularly. Write through the bad days, the rejections, and everything else, and eventually you will write the books that you can build a career on. But there comes a point where you need to quit. Not quit writing, but quit writing that story, or that character, or that genre. Quitting is the hardest skill for an author to learn, and it’s one of the few skills that you get worse at the more you write. New writers instinctively know when to quit. They can look at a story and say, “Nope! This doesn’t work. It’s trash. I’m throwing it out.” The skill new writers need to learn is how to see the diamond in the rough, and how to turn trash to treasure. New writers quit too easily, and too often, but they do know how to quit. Once writers learn how to turn the suckage of a rough draft into a sparkly, finished manuscript they lose the ability to find a stopping place. There’s always one more scene to tweak. Always one more page to edit. Always one more thing you feel you could do before letting go of the manuscript. And this is where you need to relearn how to quit. Editing is the secret magic of the ages. Edits turn a mind-spew of words into a glittering story. Like all magic, editing becomes a seductive, addictive force in your life. 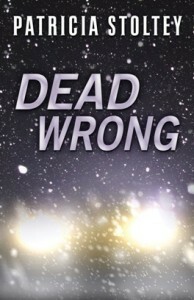 Authors start to believe that if they just edit a little more that the story they love will become something it’s not. Because not all stories have the depth, maturity, or construction to hold up under the weight of publication. Some stories are fun to write, but aren’t meant to be seen by anyone but our friends. Being able to tell the difference between a story with the core strength to handle the rough seas of the publishing ocean, and stories that need to be safely anchored in your hard drive is a skill. Here’s my short list that I use to measure a new story idea and decide whether it’s best to quit and move on, or to forge ahead. Can you describe it in one sentence? I learned this one the hard way; if you can’t summarize your book in one sentence, you don’t understand the idea well enough. Write down your ideas and save the book for later. Your brain can work on it in the background while you tackle ideas that are ready to write. Has it got legs? 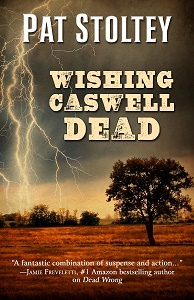 If you start writing and can’t get more than 10,000 words into the novel without getting bored, the book isn’t ready. Save. Put it to the side. Move on. Is there conflict on every page? This is another really hard one, but it’s necessary if you’re publishing fiction. Every page needs conflict of some kind. That can be emotional, internal, external, physical… there’s a long list and I bet you can Google it faster than I can type it. I’ve had to kill good books because when I went to edit them I realized they weren’t stories, they were vignettes. I’d built worlds and painted a scene that was static. Forever a utopia. Editors don’t want vignettes. Editors want conflict. Readers want conflict. Give them conflict. Make sure each page gives the reader a reason to keep reading. If you can’t figure out how to do that, put the book down and write another. Maybe you’ll be able to come back and fix it later, maybe you won’t, but if you can’t fix it: quit it. Are your edits even helping? This is the trap experienced writers fall into. We will endlessly fiddle with a story, tweaking it and whittling away at imagined imperfections for years sometimes. It’s why WINDS OF WINTER still isn’t published (George, if you’re reading this, call me). This is why authors need deadlines and need to stick to the deadlines. A deadline means you turn the manuscript over (to a beta reader, agent, or editor) no matter what. If you are not already published, find beta readers or a writing group that will hold you accountable. Set a deadline for yourself, and hand your book over. You’ve got to know when to quit, and beta readers coming after you with pitchforks are a good sign that the time has come. And remember, even if you quit a story, you aren’t giving up on it forever. There’s a time and a season for all things, and when that book’s season comes, you’ll know. 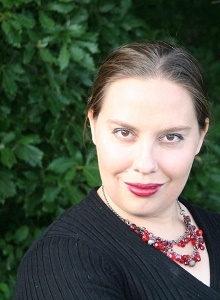 Liana Brooks writes science fiction and sci-fi romance for people who like fast ships, big guns, witty one-liners, and happy endings. She lives in Alaska with her husband, four kids, and giant mastiff puppy. When she isn’t writing she enjoys hiking the Chugach Range, climbing glaciers, and watching whales. Learn more about Liana and her books at her website. She can also be found at Facebook, Twitter, Goodreads, and the Amazon Author Page. To receive a copy of her new release newsletter, click here and sign up. 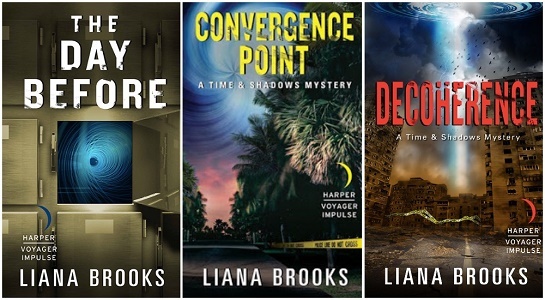 Readers of Blake Crouch’s DARK MATTER and Wesely Chu’s TIME SALVAGER will love Liana Brooks’ DECOHERENCE–the thrilling, time-bending conclusion to the Time & Shadow series!